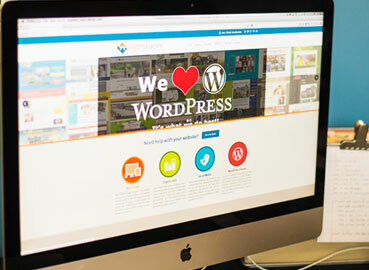 If you look for WordPress design and development for your business or personal website, don’t go any further. We’re a team of three freelancers with an extensive experience, aimed to help people use the potential of their websites, make profits and compete on the web. All our products are designed with focus on style, web standards and SEO. We design most interactive & responsive friendly Wordpress websites. Contact HireWPGeeks for most creative custom Wordpress design services with 100% guaranteed satisfaction.